Confined to his hospital bed, all he could do was stare helplessly at the television. The faint sound of music was still audible, but the match encompassing his eyes had him transfixed. Memories of freedom and joy would come flooding back, further enraging an angst of all he was missing. He would kick his left leg up and down incessantly, causing his mother so much frustration that eventually she suspended that one as well. For the better part of two months, the only life David Villa would come to know was stationary, confined and dreamless. It was all so different back before the injury. It was 1985 and a four-year-old boy in the small parish of Tuilla, Spain, was doing what he loved. Weekdays were spent at the local school with its students intently counting the seconds down until release. From there, they would race home to play football in the street until it got dark. Regulation 11 vs 11 games were never an option, as up to 40 kids would crowd around the ball just yearning to get that first mythical touch. One afternoon, Villa decided to lace them up with some of older boys. While another and David were both going for the ball, a freak accident would see the much heavier boy fall down on his right leg, breaking his femur. It was such a bad break that the doctors told his parents that there were two treatment options with radically different outcomes. The first was to get surgery immediately, resulting in an easier recovery in the present, but the end result would see his mobility limited for the rest of his life. The other option was much more difficult but had the chance to eventually heal his leg completely. It required a plaster cast that would stretch up from his ankle all the way up to his hip, rendering him immobile until the doctor deemed otherwise. In the end, his father would be the one to make the final call. The daunting road accompanying the leg cast was chosen, but this was only fitting, for it had been José Manuel Villa’s life mission to do all that he could to prevent his son from walking down the same path he did. José was a football fanatic, and from the moment David was born, he did everything in his power to help him become a professional footballer. Like most men in Tuilla, he was a coal miner. Every day when David would rise from the comforts of his bed, José would be 2,600 feet into the dark, solemn earth working a shift in the mine. Coal represented the heartbeat of the entire town during that time. It was a thankless job, done more out of necessity than through any unbridled passion. The work took its toll on José, killing a few of his friends in tragic accidents, all the while sparing him to a plethora of surgeries; the knees, the elbow and the nose were just some of the highlights from his battered body. After 60 days confined to that bed, David was finally released back into the world. What would seem like a joyous moment was hampered by the reality that an additional four months remained in that dreaded cast. Undeterred, the Villa men went straight to work in the front yard of the house. With his arm stretched to the wall to support his weight and his casted leg moved out from the open, his father would roll the ball to his once uncomfortable left foot. Hours upon hours would vanish from the clock as the two would repeat the process, day after day. In the moment, it must have seemed so inconsequential, but they had begun developing David into an ambipedal player, a trait imperative to the success of one of the greatest forwards the peninsula has ever seen. Ten years on, the dream nearly vanished again. Now at the age of 14, David’s continual progression as a footballer had landed him a spot in the youth ranks of UP Langreo. Regrettably, as the weeks slowly drifted away, David’s playing time abruptly went with it. Joy for the game soon followed, creating a toxic mixture of pure disillusionment. Prepared to give the professional life up once and for all, a familiar face again was there to push him through. José instilled the confidence back into David, rationalising that this was nothing more than a minor setback on his path to greatness. Finally relenting, David stuck around long enough before eventually enrolling into the Mareo football school, the youth academy of Sporting Gijón, at the age of 16. Still in school and studying to be an electrician, the professional development program required its students to do an internship — installing air conditioners, or projects of that variety. But due to his gruelling playing schedule with Sporting, the games oftentimes conflicted with the internship. This presented another difficult choice: continue with his studies and follow a practical life, or suspend the sure bet to chase the dream? David knew that his father would not take much convincing, but his mother, Dorita, was a different beast. Her passion for football began and ended with her husband and son. Instead, she just wanted David to earn a living — the logical and safe way. Meticulously planning, David convincingly presented a deal to her: give me two years to make Sporting’s professional team or I’ll give up football for good and go back to being an electrician-in-training. Exactly two years later, 16,000 fans were ushered into the stands at El Molinón. Amongst a sea of red and white shirts engulfing the stands, two parents swelled with pride. A day that had once felt so far gone, had finally arrived. The tears rushed down Dorita’s eyes and José had flashbacks of his hero, Quini, who had adorned the same shirt in the 1970s. Rejected by one of the province’s bigger teams, Real Oviedo, who declared that he was too short and that they did not believe he had sufficient potential, David Villa had finally proven his, and most importantly, his family’s belief right. It may have only been the Segunda Divisioó, but all of that was irrelevant — a foundation had been laid. Despite his coach, Pepe Acebal, recalling that David initially lacked the stamina to have a real impact and had to be given his chance bit by bit, Villa’s aptitude for work was “unrivalled”. 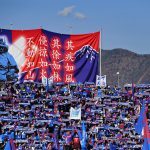 In an illustration of poetic justice, his performance in the local derby stood out in which, as a 19-year-old, he tore Real Oviedo into pieces. He would go on to score 18 league goals in his first season for Sporting, followed by 20 in 2002/03. Despite the personal success, the club struggled financially. Left will little other choice but to put their most prized possession on the market, a newly promoted La Liga side with strong ambition picked up the phone and began the negotiations. All it took was €3 million. Packing his bags, David set off for his most risky adventure yet. The friendly confines of Asturias were gone and now he was in the big leagues of Spain. Real Zaragoza’s badge presently adorned his chest and with it came the responsibility of uplifting a region that never wanted to experience the Segunda again. His first goal would arrive in his third match, against Real Murcia, and he was just getting started. Sixteen more would find the back of the net in the league, but his finest work was saved for the Copa del Rey. He scored four in the competition, including one in the final, propelling his side to an improbable 3-2 win over Real Madrid. His first piece of silverware was secured and he was named the league’s revelation of the season. At last, some semblance of vindication had washed over him. His deal with his mother all those years ago had begun to bear fruit and everyone was about to get a taste. The following season would see him score 18 in all competitions, but the club began to struggle. Despite making it to the last 16 of the UEFA Cup, Zaragoza finished 12th in the league and were knocked out in the round of 64 in the Copa. The money would soon dry up with it and Villa was once again put on the market. While a cloud of uncertainty lingered upon his domestic career, internationally, the sun had just begun to rise. He earned his first call-up for La Roja in February, summoned by Luis Aragonés for the 2006 World Cup qualifiers. When he returned to league action, Zaragoza fans were so proud of his achievements that the now infamous “illa illa illa, Villa maravilla” chant was born. David never had the media nor political backing that other players enjoyed, but it didn’t matter. The people were now shouting his praises and some of Spain’s biggest clubs had no choice but to listen. As the rumours swirled, the summer of 2005 presented a tremendous opportunity for David. One of the first clubs to make contact was Valencia. Having won the league in the 2003/04 season, the club laboured to a seventh-place finish and managerial uncertainty clouded the side the following campaign. Getafe boss, Quique Sánchez Flores, was appointed and he immediately looked to bolster the attack. A tad over €12 million was Zaragoza’s asking price and Los Che didn’t blink twice. Finally in a place that called the upper echelons of La Liga home, David’s play was about to make a whole lot of people kick themselves on how exactly did it take so long. In becoming Valencia’s best ever debutant with 25 goals in his first season, another barrier was smashed through. No longer was he the diminutive forward feasting at provincial sides; he was a full fledged giant striking fear in everybody. 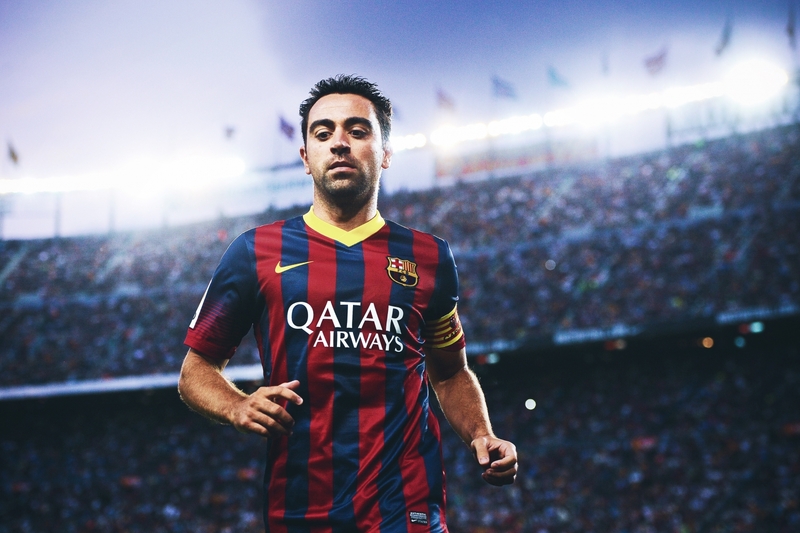 A brace in a 2-2 draw at the Camp Nou was his first warning shot. Then came the match winner at the Bernabéu to sink Real Madrid and the lone goal to beat Barcelona in the return game. In a match against Athletic, he scored a hat-trick in just over five minutes, making it one of the fastest ever recorded. Last but not least, his famous goal from 50 yards out – on the turn no less – against Deportivo was one of the finest in all of Europe that season. Fittingly, Villa was called up as part of the 23-man squad to represent Spain at the 2006 World Cup. Playing in the number 21 shirt, his debut against Ukraine would see him score a brace in La Roja’s 4-0 win. As the Spanish cruised through the group stage undefeated, a date with powerhouse France dawned in the round of 16. Spain would be awarded a penalty in the 28th minute. With the likes of Raúl, Xabi Alonso and Fernando Torres in the squad, Luis Aragonés instead signalled for Villa to step up. 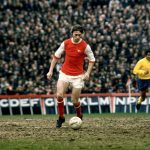 In quite possibly the most pressure packed moment of his career, he calmly jogged up before blasting a nearly unstoppable shot past Fabien Barthez. Unsurprisingly, his side would crumble from there before losing 3-1. Spain’s trophyless drought had reached a staggering 42 years with effectively no end in sight. Villa’s tremendous form would continue into the 2006/07 season, with the striker forming a partnership up front with former Real Madrid star Fernando Morientes. Between them, Villa and Morientes netted 43 goals in all competitions and David’s evolution as a player would show no bounds. His 12 assists would go on to lead the entire league, virtually making him indefensible. “Villa is not only there to finish plays. Villa is synonymous with depth. It means always being ready to open passing lanes, to draw defenders and thus freeing space for others,” said Johan Cruyff. Whether it was up front on his own, alongside a partner or wide on the left, Villa had shown the rare ability to mould himself into whichever shape his side dictated. These adaptations would prove invaluable for the rest of his career, despite at times playing to his own detriment statistically. The following campaign would see the cracks finally begin to emerge at the club. Quique Sánchez Flores was fired and replaced by Ronald Koeman, who ended up being fired that April. The first and only trophy of Villa’s tenure at Valencia would arrive in the form of the Copa del Rey, but deep down, everyone knew it was just a band-aid for a festering wound. Paired alongside the likes of David Silva and Juan Mata, the trio became one of the most feared on the continent, but a 10th-place league finish severely hindered the club financially. Meanwhile, David’s harmony on the international stage was anything but settled either. Aragonés had jettisoned, under extreme controversy, Raúl from the national team in late 2006. He had arguably been Spain’s greatest-ever player; the Siete de España – Spain’s number 7. Villa subsequently took the number on despite many feeling it was a slap in the face to the country’s best scorer. 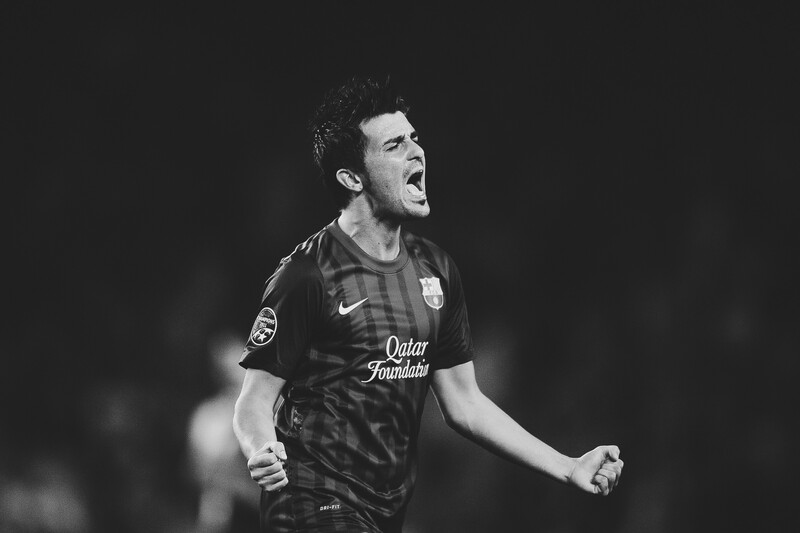 Little did they know, El Guaje was about to make it his own. With four goals to his name, he would end as the top scorer at Euro 2008, despite missing the final and half of the semi-final. More importantly, 44 years of endless heartbreak and the proverbial ‘chokers’ label had finally been shed. A 1-0 win over Germany in the final changed everything. Spain were coming and there was nothing the world could do to stop them. Two years on, his time at the Mestalla was coming to a rigorous end. Villa would score 107 league goals at Valencia, despite the talent surrounding him not always being up to snuff. The club finished third, fifth,10th, fourth and third in the seasons he had spent there. The mere fact they finished so high was a testament to just how influential he was. Over those five years, only Samuel Eto’o scored more goals than him. And Eto’o only had six more – in a Barcelona team that racked up 129 more goals than Villa’s sides. If that wasn’t impressive enough, for most of his tenure, he was responsible for taking Valencia’s corners and free-kicks as well. Despite his unmitigated desire to the contrary, Villa would be sold to Barcelona for €40 million at the end of the season. As had been the case at all of his other stops, club finances had been the chief culprit. It was a sad end to a once magical relationship, but now he was joining the most dominant club in the world. Before his new adventure could begin, his country was going to need him more than ever – history was at stake. World Cup 2010 felt different from the beginning as though Spain’s win at the Euros had lifted a cloud; until it didn’t. A shock defeat to Switzerland in the opening match had brought the ghosts back and the criticism that followed reached a crescendo. From then on, Villa would be there to supply response after response. He got the only goal in the World Cup quarter-final and last-16 matches, against Portugal and Paraguay, having previously opened the scoring against Chile, and scored twice against Honduras to get them through the group stage. He may not have found the back of the net in the semis or final, but his presence alone cast a massive shadow on opponents. La Roja would go on to claim their first World Cup win in Johannesburg and once again David’s parents stood in the stands. It had been nearly 10 years since his mother cried the day he made his debut, but now it was his father’s turn. Their son was a world champion, an assurance that a star would now adorn the Spanish jersey forever. Back in Spain, with Lionel Messi dodging defenders like a cheetah through traffic and Xavi playing passes with a sniper’s precision, Villa scored 23 goals in all competitions in his debut season. His work on and off the ball was vital, seamlessly fitting into Pep Guardiola’s style of play without disrupting the rhythm. Barcelona claimed La Liga once more but their masterpiece had yet to be painted. With the Champions League final as their canvas, the Blaugrana made football imitate art. At the final whistle, the scoreboard read 3-1, with the final goal a 25-yard curler from Villa himself. It would prove to be the highlight of his stay in Catalunya, a three-year stint cut short by a broken tibia in the 2011 Club World Cup that forced him to spend a gruelling eight months on the sidelines. Although his starting position appeared to have once been etched in stone, the erosion of belief in his abilities had begun to reveal itself. Despite most of his 39 appearances coming via way of the bench the following season, Villa still amassed 16 goals for the eventual league winners. It was the most fruitful time of his career trophy-wise, but even from the start, his relationship with Barcelona always seemed a bit off. Indeed, since returning from the injury there had been less of the old fireworks, but his contribution still proved valuable. With the acquisition of Neymar, Barcelona inevitably announced that they had reached an agreement for the transfer of Villa to Atlético Madrid for a cut-price deal of €5.1 million in July 2013. More than just statistics, Villa had given his new side a quiet confidence. After all, he was the living embodiment of the underdog. 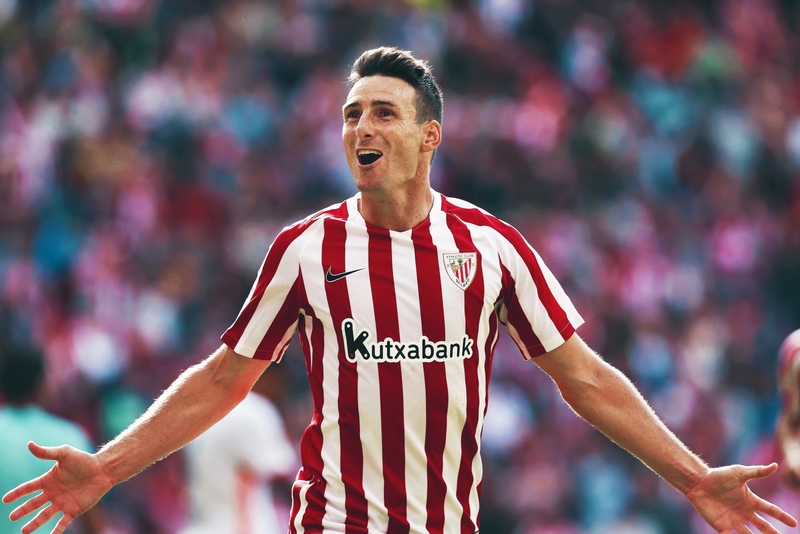 He finished his only season in the Spanish capital with 13 league goals from 36 appearances, contributing to Atlético’s improbable first league title since 1996. Made even sweeter for David, they officially claimed the title at the Camp Nou. It was an incredible achievement, the likes of which still to this day has many rubbing their eyes in disbelief. There was no better time to draw the curtain on his stellar European career, but first, another chapter needed to be closed. At last, his number was up. Over on the touchline, the fourth official stretched his board to the sky and flashed a 7. Villa begrudgingly glanced across at it, surprised and saddened, then walked slowly toward the edge of the pitch with his head down. Replaying the memories with each step, he finally arrived on the bench. His hands gingerly raised to his head, slowly patting at his hair. Then, like his mother and father had done before him, he cried. His Spain career lasted nine years, and he ended just three games short of 100 appearances. He scored 59 goals in 97 games for Spain, more than anyone else, and nine in 11 World Cup games — another record. His fingerprints were all over the titles in 2008 and 2010, and while his leg again betrayed him in 2012, his influence was never too far away. Spain crashed out of the group stage of World Cup 2014 and the end of an era came with it. It’s now been three years since his departure, and La Roja still in search of his true replacement. Piercing through the clouds, his jet plane slowly descended into foreign territory. One by one, the suspended particles in the atmosphere vanished, instead replaced by the enlarging silhouettes of concrete and steel. Skyscrapers as far as the eye could see illuminated the landscape, brimming with intimidation and capitalism at its finest. It was June 2014, and David Villa was set to become the inaugural signing for New York City’s second club, NYCFC. Outside of the jet, most of the chatter had been quite routine. Fans and pundits lambasted the move as nothing more than another washed up European star looking for an early retirement and a fat paycheck, but David was hell bent on proving them wrong. Fellow designated players Frank Lampard and Andrea Pirlo would follow him to the Big Apple, but neither was or has been able to consistently provide tangibly important contributions. The early days of NYCFC required a player with a constant high-profile presence, to establish an entertaining product in a city where empty promises will see you chewed up and spit out. Villa has provided that quality and then some, scoring 51 goals in 81 appearances — the fifth fastest to the mark in league history. When he described growing the league as an important career goal, you see it in the tireless work he puts in week-in and week-out. His passion has never been dull or insincere; rather, it has heightened a level of respect for the league that was once non-existent. No matter the shirt that garnished his back, David Villa has always brought a pride on the pitch that could never be extinguished. Recognition of his individual brilliance wasn’t always prompt or genuine or admirable or satisfying, but did it ever really matter? So close to living a real life nightmare in that hospital bed all those years ago in Tullia, he hasn’t stopped dreaming since.